Praised for being such an all-rounder, the Hyundai ix35 has won multiple awards over the years and is a favourite for many motorists around the world. The vehicle is best known for its versatility, low running costs, high spec design and low level of emissions. One of the new fantastic features on the ix35 is the ability to use hill-start assist control, which will help ensure that your vehicle doesn’t roll backwards as you attempt to pull away on a hill. There is also a downhill brake control, allowing it to take on steep declines comfortably at a lower speed. Achieving the highest Euro NCAP rating of 5 stars, the model is one of the safest in its class and comes with front, front side and full length curtain airbags. Features also include anti-lock brakes, ISOfix bars, electronic brake force distribution with enhanced control over braking and an advanced electronic stability system. Hyundai’s newest technological feature, Blue Driving Technologies, is designed to help improve fuel consumption and reduce emissions. This is done by adopting features such as intelligent stop and go, low rolling resistance tyres and an eco-driving indicator, which notifies you the optimum time to switchgear. 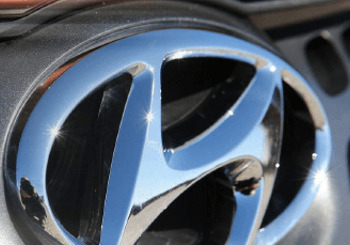 When purchasing a Hyundai you will also gain access to their five-year warranty cover, which includes roadside assistance and annual health checks. Many aren’t aware that the ix35 is a fantastic towing vehicle with the ability to tow up to 750kg unbraked and 2,00kg braked. The vehicle also comes with trailer stability assist, which corrects the braking and wheels accordingly to reduce engine power use. Click here to browse our range of Hyundai models online or give our Yeovil dealership a call for further information.